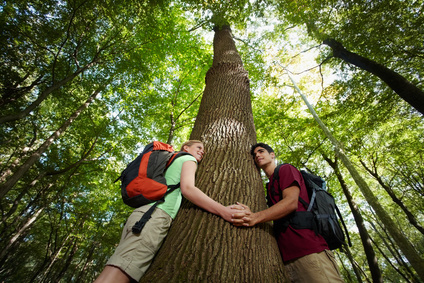 As a rule, the higher the density of fibers within the wood, the greater the wood’s capacity to store energy. Like all hardwoods, ash is physically dense and packed with energy, so each log provides significantly more heat when burned than equivalent logs of softer woods like balsam or spruce. There are some woods, including ironwood and rock elm, that burn even hotter than ash (for instance, ironwood fires can produce stove-top temperatures in excess of 650 degrees, ideal if you have some girders to melt! 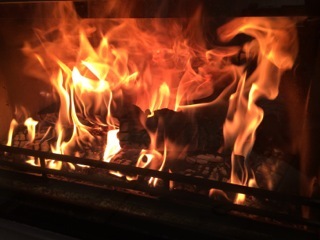 ), but the majority of stove users tend to agree that ash log fires are easily hot enough for the home. Ash is the most readily available and easily managed hot-burning hardwood, offering great affordability in addition to high performance. For a fraction of the price you’d pay for a scarcer hardwood, you can enjoy optimal temperatures and a clean, efficient fire thanks to this fantastic tree. Ash remains one of the most abundant species in the UK, so there’s no need to worry about prices jumping up any time soon! Simply through seasoning in a well-built woodshed, ash logs can attain the low water content necessary for clean burning. For those who want the very best however, we’ve gone one step further… Dalby Gold (pictured in use with a Charlton & Jenrick Ltd. stove, bottom-right) is our premium firewood product. We take seasoned ash logs, and dry them at high temperatures using a kiln. The process leaves the logs with an average water content of just 11%, compared with the 20% moisture content you’ll find in logs sold by most other firewood companies. This almost halves the amount of smoke and soot generated by the fire, reduces the chance of mould developing during storage, and ensures a fantastically hot burn. When it comes to firewoods, ash is the pick of the bunch. Add kiln-drying into the equation, and it’s off the charts. 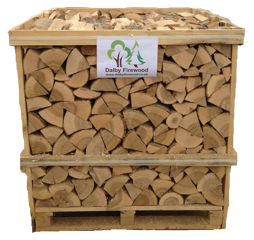 Wherever you are in the UK, we’ll deliver some of this superlative firewood to your door! Order bulk bags and crates of Dalby Gold here.